In association with E. Bonell, J. M. Gil and F. Rius. 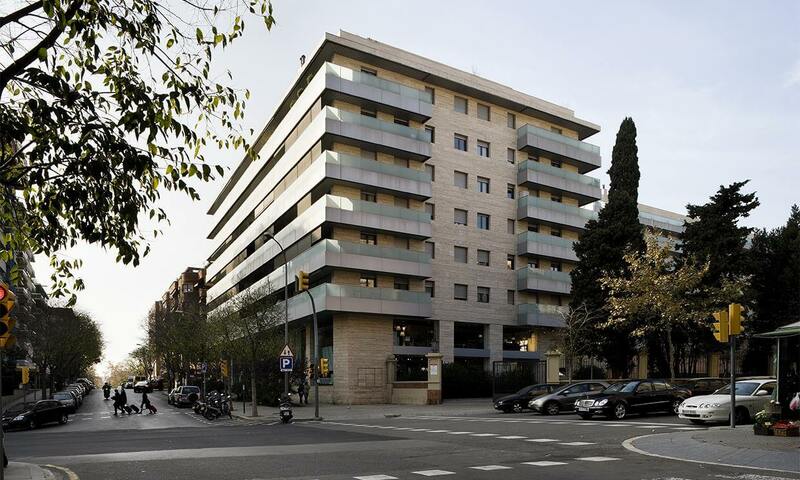 The 26,000 m2 situated between Carrer Fontcuberta, Carrer Santa Amèlia, Carrer Osi and Carrer Cardenal Vives i Tutó belonged to an old property of the village of Sarrià, of which the large country house still stands, known as Casa Senillosa and included in the Catalogue of the Historical- Artistic Heritage of Barcelona. Previously, 18,000 m2 of this estate was occupied by the Sandoz pharmaceutical industry, which had its laboratories and warehouses here until 1999. Then, a property group that had purchased the land demolished, according to plan, the old buildings, except for the country house, with the idea of building a residential complex of houses and flats. 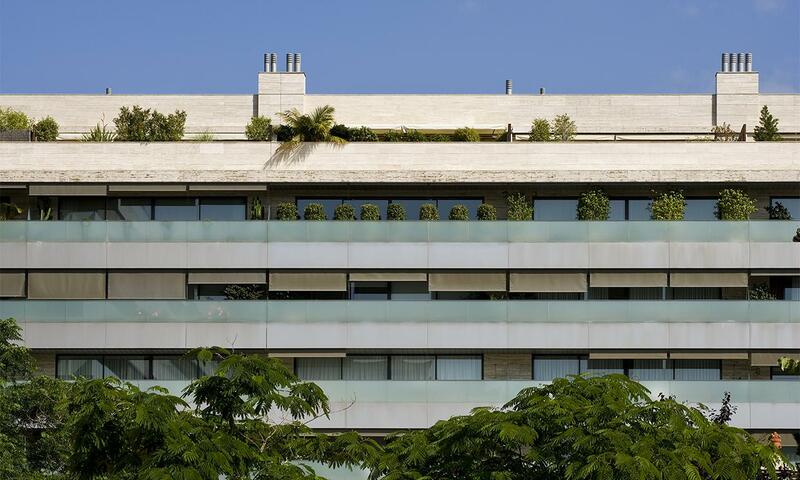 Given the special characteristics of the site and the possibility of undertaking an urban renewal of the block, the architects planned an absorption of the area, based on the construction of three blocks that followed the line of Carrer Santa Amèlia, Carrer Osi and Carrer Cardenal Vives i Tutó, respecting the country house and its gardens. 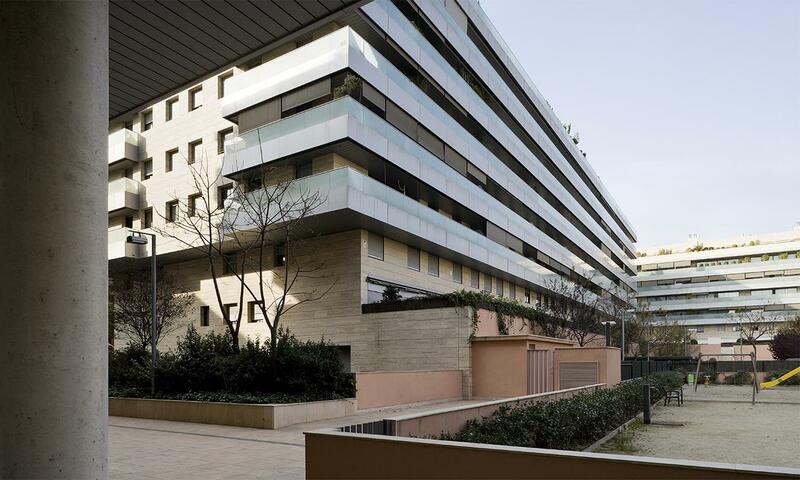 The three buildings erected comprise in total 220 homes of between 80 m2 and 220 m2 and car parks. 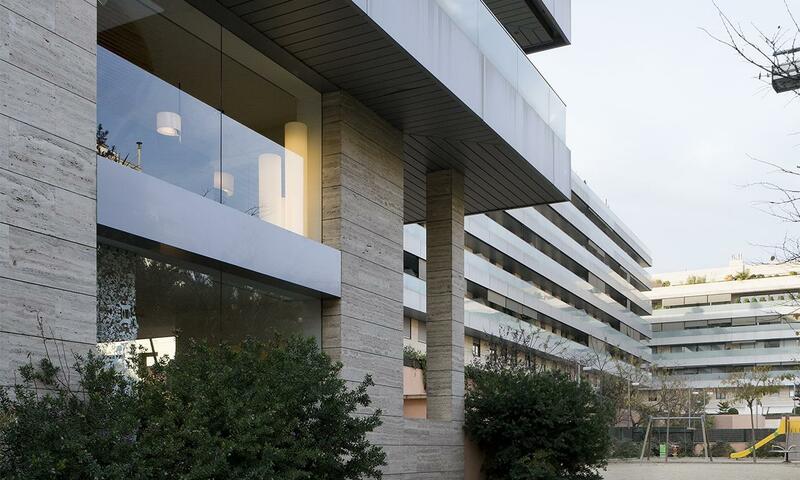 Each block has between 5 and 7 floors, being duplex homes from street level, but what architecturally best defines this complex is its formal, almost minimalist, austerity, which is formalised in the horizontal marble and glass strips that close the running balconies. 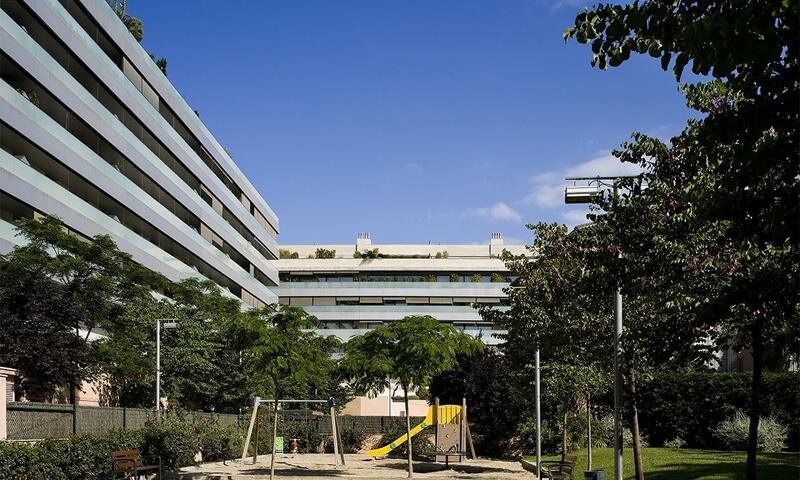 The lightness of the architectural complex is also favoured by the fact that the attics are withdrawn and because the interior façades face the central part of the block, which houses the Jardins de Can Senillosa, completely open to Carrer Fontcuberta and with free access.